Lisa Aiken is Net-a-Porter's retail fashion director and the woman responsible for our extensive wish lists and dented wallets. She is something of an oracle for the Who What Wear team in the UK. We trust her every recommendation (and attend her seasonal trend presentations without fail); we look to her wardrobe choices and unwaveringly cool NAP edit to make our own moves; and now, she's a regular columnist here on the site—hurrah! Get the latest fashion intel from her every month, starting with the unexpected shoe style that's selling like mad. As retail fashion director at Net-a-Porter, I am always looking for what’s coming next. And not next week or next month, but six months into the future. So having just returned from the A/W 18 shows, I wanted to share with you what fashion has in store for our wardrobes next season. The biggest shift is the return to real-life dressing, which doesn’t mean we are giving up having fun with fashion, just that the overall mood was a little more refined than the “anything goes” approach of recent seasons. It’s not hard to see where this has come from; the Time's Up and #MeToo movements have put female empowerment at the very forefront, and designers have responded to this by dressing us to take on the world. In short, this means tailoring will continue to be one of our most loved trends (yes, that checked blazer will still be failsafe), neutral shades are back in a big way (though with a splash of pastel in the mix) and our mini bags are returning to, well, slightly bigger proportions. And this wasn’t just on the runway, my favourite looks from the street style set also had a chicer and more subtle appeal. From Pernille Teisbaek in her cream trench with matching shirt to Christine Centenera in a grey skirt suit and Diletta Bonaiuti in a camel jumpsuit. For next season, we are rekindling our love affair with all things vintage, from the precious lace dresses of bygone eras to high-voltage '80s eveningwear, acid wash denim and the best faux furs I have ever seen. So those giant crystal earrings are selfie-worthy for yet another season, but if you fancy a new option, wear as brooches on your favourite jacket. Leather, vinyl, gloss, stamped croc and python-print may seem tricky to wear, but trust me, designers have very ingeniously crafted an entire wardrobe out of these slick textures—with many of them using vegan options. There is still a lot of colour around, but the shades we are choosing and the way we are wearing them will be the big difference. Soft pastels, muted brights and pops of neon were all unexpectedly teamed back with an interesting neutral like camel, burgundy or grey. 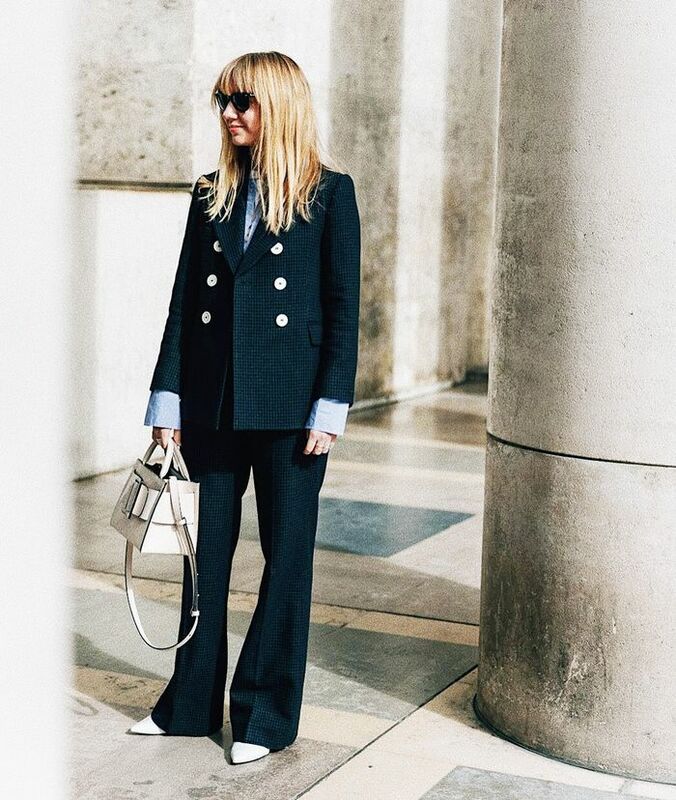 Call it "the Chloé effect," but the '70s are back in a big way. However, rather than a literal interpretation of the decade, designers have taken a few ideas and reworked them for the modern woman: Camel and caramel tones come in minimal silhouettes, the polo is layered under everything, and anything with a hint of bohemia has an edge. So there you have it—the inside track on what's to come.